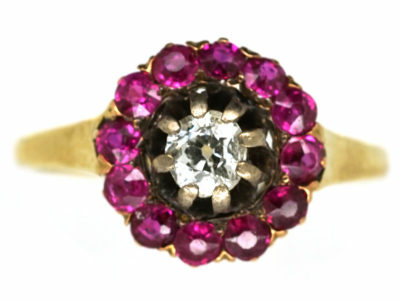 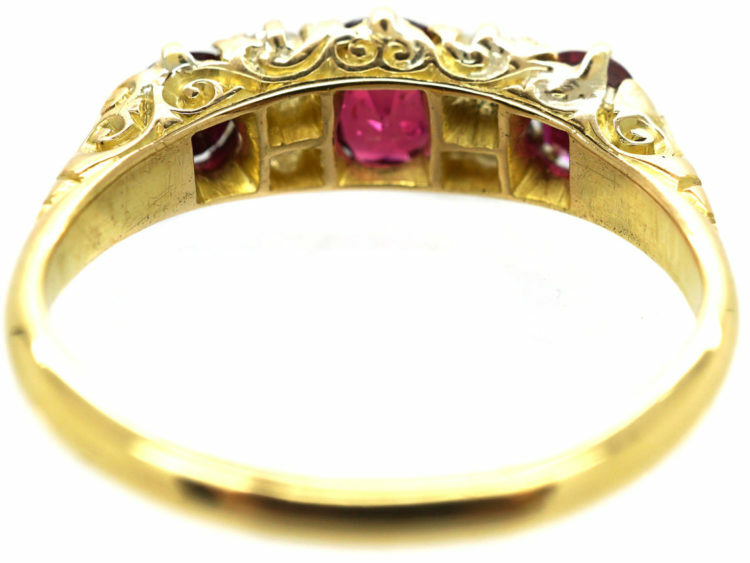 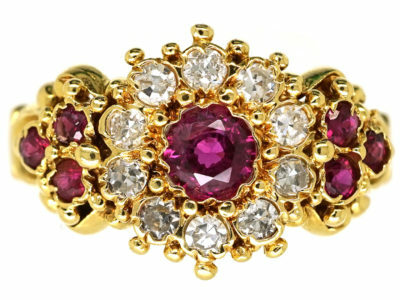 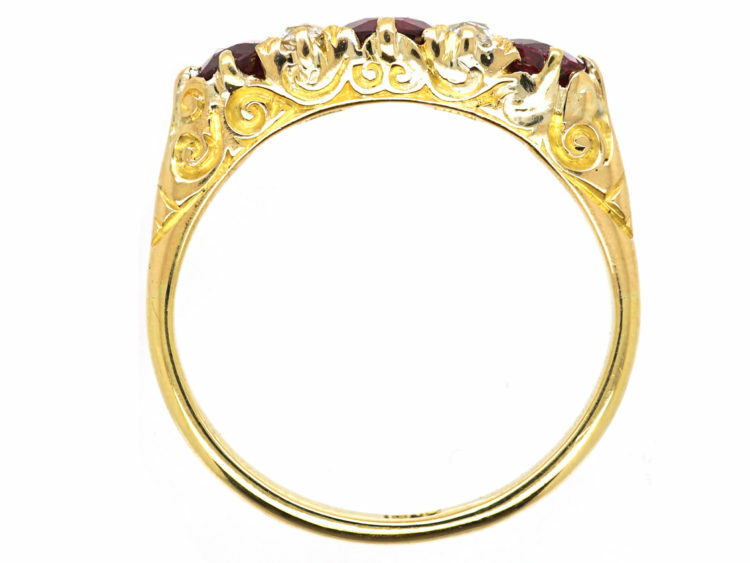 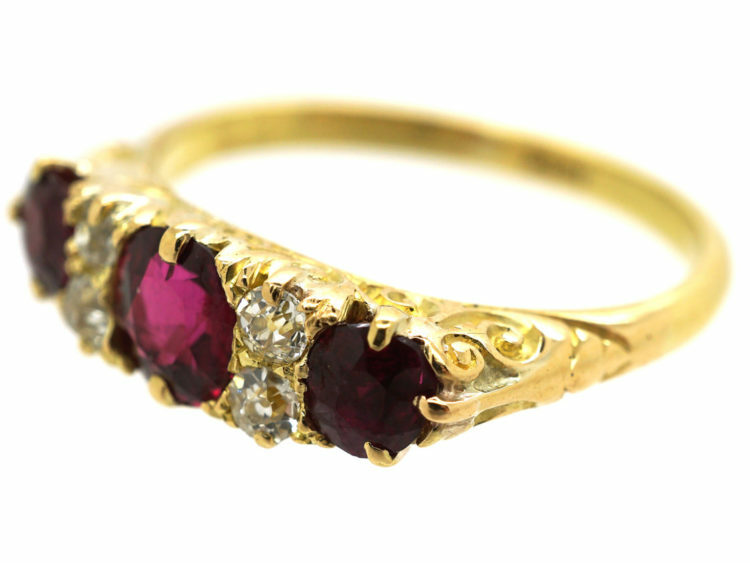 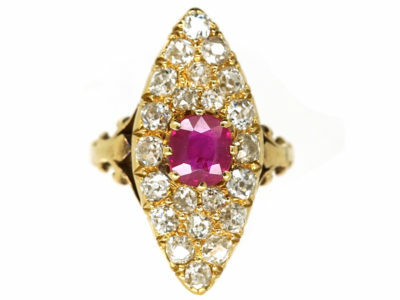 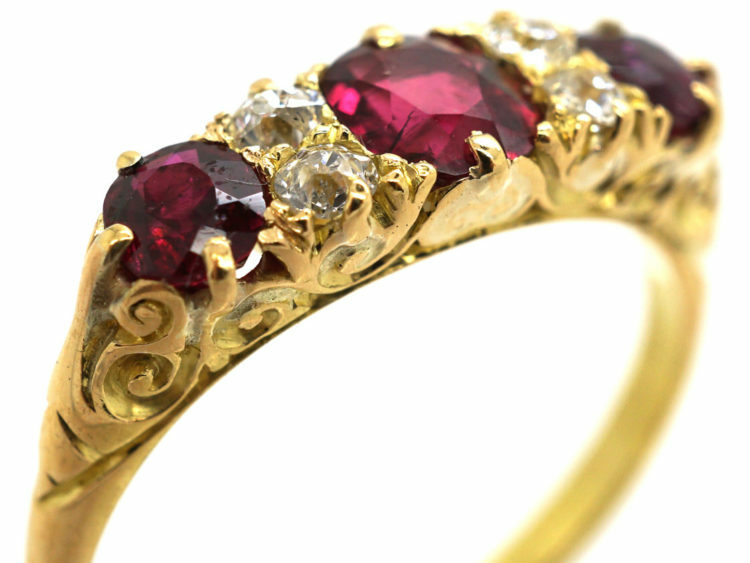 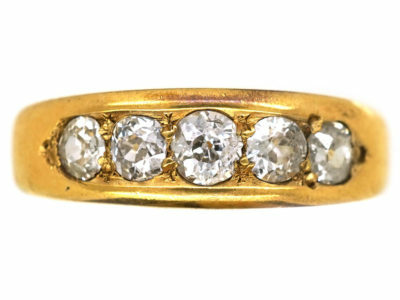 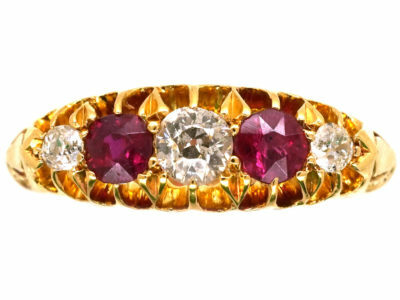 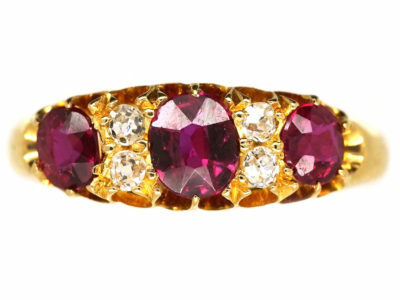 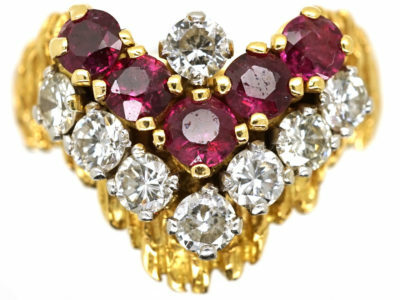 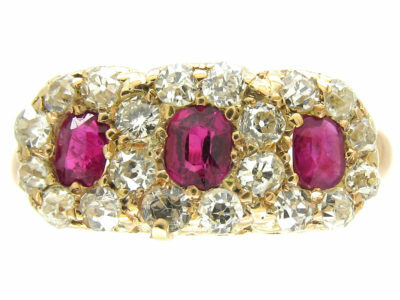 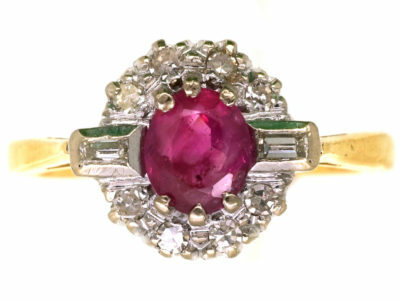 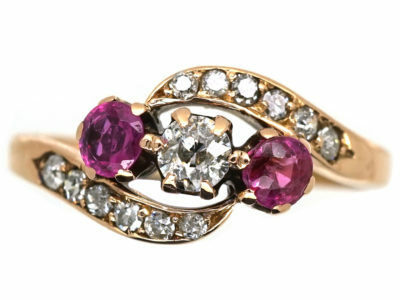 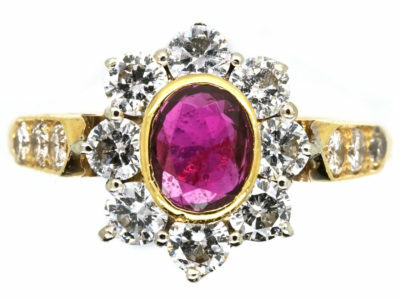 A well proportioned 18ct gold three stone ruby and diamond ring that was made circa 1900-1910. 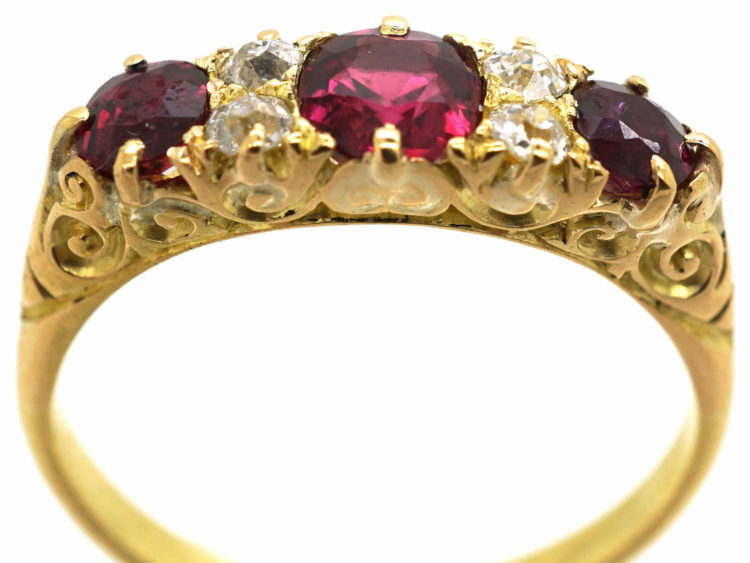 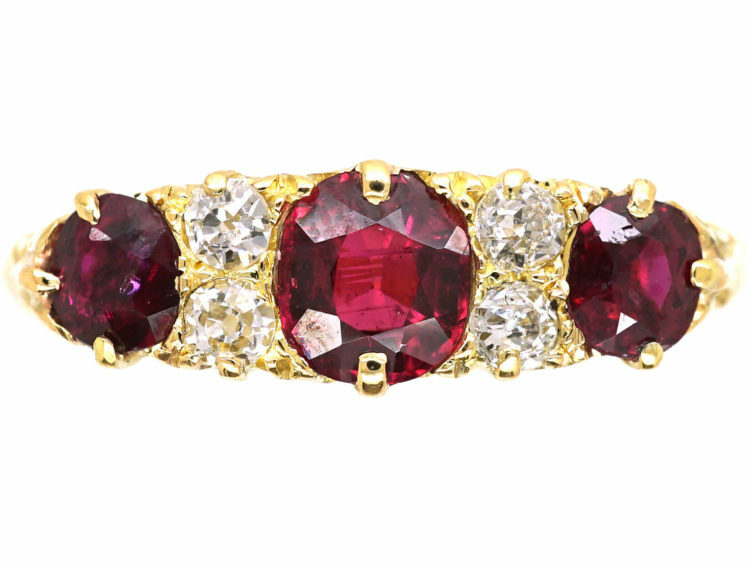 The rubies are well matched natural stones and are interspersed with small white diamonds. 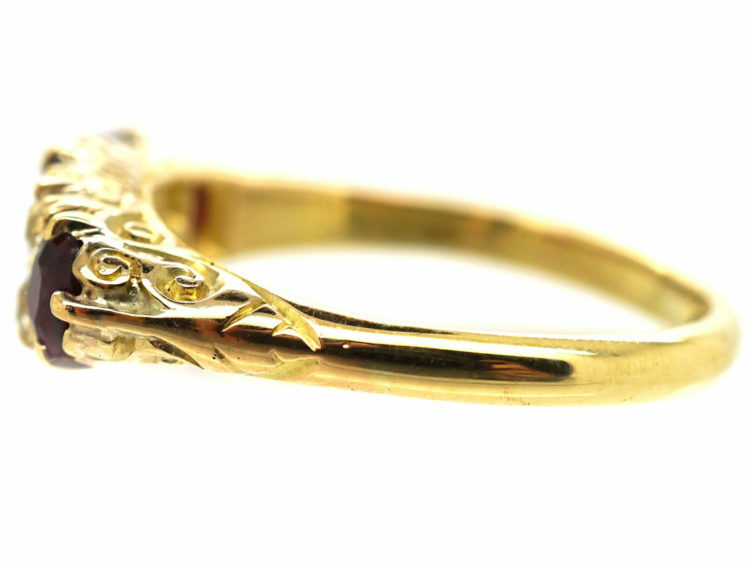 The shank is called a carved half hoop as it has scroll work decoration on the sides. 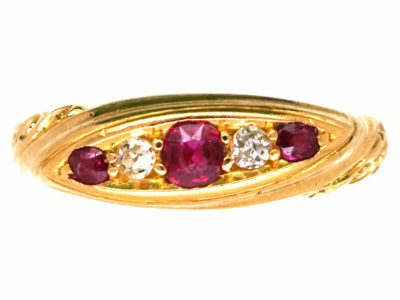 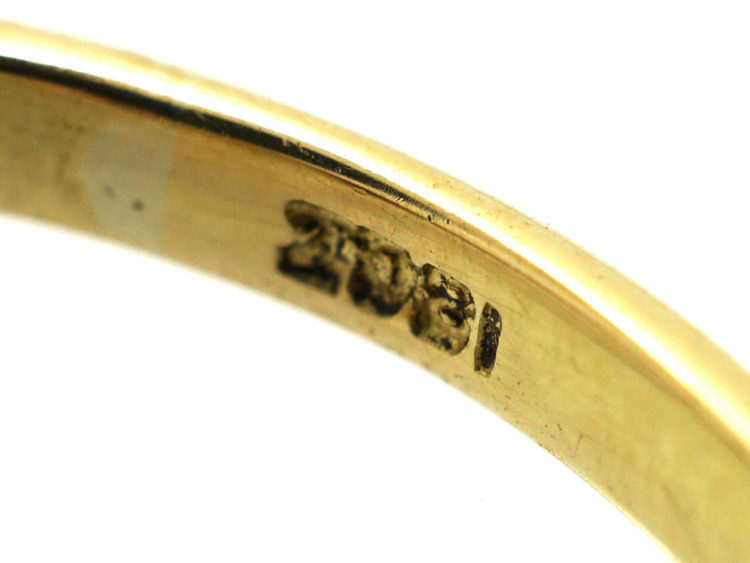 This style of ring is perfect for a Ruby wedding anniversary or as an engagement ring.